Prior to that first sighting I had already read everything there was to read about these cars, but their looks are what did it for me. For some reason, I really loved that rounded shape with the hatchback and the large tray wing on the back. It just looked “right” to me. At that point I was still in college, and the $29,750 base price (in 1990!) was completely out of my reach and would be for quite a while. Apparently I was not alone; these were sold here for just two years, and only 1,730 of them found buyers. Worldwide production between late 1987 and early 1996 totaled 75,858, so only a very small number came to the U.S.
Fast forward to 2002. Our stable contained an Audi S4 (in the background below), a Volvo V40 and a Volvo 740 Turbo. I’d been reading about the Alcan 5000 Winter Rally (www.Alcan5000.com) since its 1984 inaugural and had always wanted to participate. You need three things for the Alcan: at least one co-driver, a suitable car, and a couple of weeks of spare time for the rally and the necessary prep time beforehand. How hard could it be? Before I get ahead of myself, I did not end up taking part. I did pay the entry fee deposit, but then pulled out after my daughter was born in early 2003, realizing that this kid thing is WAY more time-consuming (but in a good way!) than I’d thought it would be. Anyway, my buddies, Jim (the guy with the other S4 I’ve mentioned before) and Scott (the guy in Colorado with the S6 Avant I’ve previously mentioned), were willing to drive the rally with me if I provided the car. Half seriously, I started to look around. 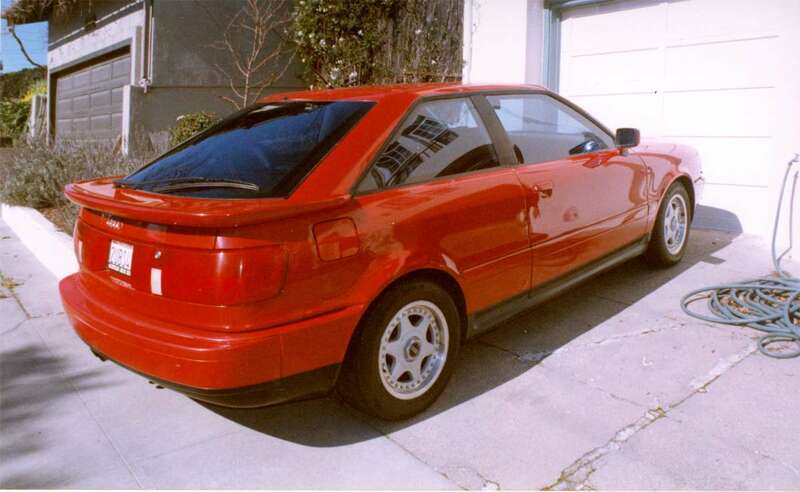 I’d always loved the shape of the ‘90-‘91 Coupe quattro but even very used ones were always fairly expensive. One day I found one literally around the corner from my house, owned by a kid that was looking to unload if for about $2,000, which was less than half the next-cheapest one I’d seen thus far. After driving it around a short test loop, I bought it on the spot, warts and all. I figured this car would be perfect for the rally. Full-time all-wheel drive, a lot of weight for such a small car (around 3, 200 lbs) to push it down into the snow and ice, a DOHC 2.3-liter, 20-valve, five-cylinder normally aspirated engine with 165 hp and 157 ft-lb of torque that loved (and needed) to rev to deliver its utmost. Add in a versatile hatchback body, a very comfortable cabin in both front and rear compartments, and sturdy construction to boot. What’s more, Audis had won several times before, thus setting a precedent. Why was this car so cheap? Well, there was some body damage. One front headlight was smashed, the hood had a small wrinkle, and the bumper was missing a piece of the surround along with a headlight washer. The passenger side of the body had a couple of small scrapes. None of which worried me, for this was going to be a race car! The engine fired smoothly, but had not been maintained well. There was an oil leak at the valve cover, and the battery did not hold a charge very well. Also, a wheel bearing was howling. Fine, I figured, this engine was not that different from the one in the S4 (except the turbo) and it would be easy to sort everything out. So I ordered some parts (gaskets, plugs, bearing, etc. ), found a used hood, and parked the car in the garage until I had the time to deal with it. I swiped this pic, I would never use a pink pine tree air freshener. I’m a vanillaroma kind of guy…. 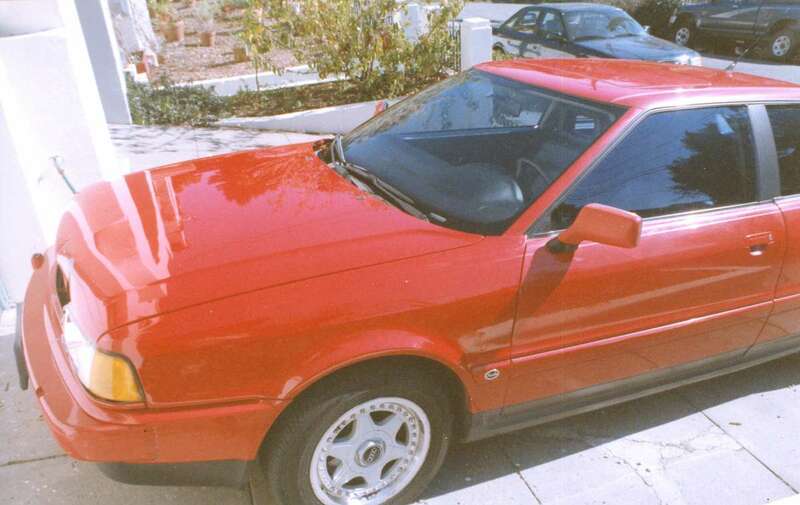 These are closely related to the 80/90 four-door-only body style, which also became the basis for the original Audi Cabriolet that came along later in the 90s. U.S.-market cars had the V6 and front-wheel-drive. 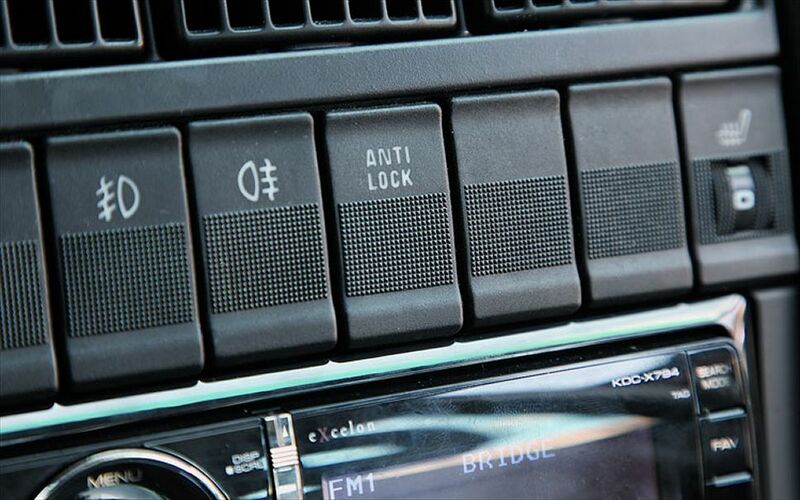 One interesting feature also found on other Audis of this vintage is a dash switch that turns off the ABS. Audi figured that under certain conditions (i.e., packed snow or gravel), locked wheels will actually help the car stop faster due to a “wedge” that builds up under the locked wheels as the car slides. Once you turned it off, it stayed off until you either pushed the switch again or turned the car off and then restarted it. All of them were fitted with a five-speed manual; an automatic was not offered. 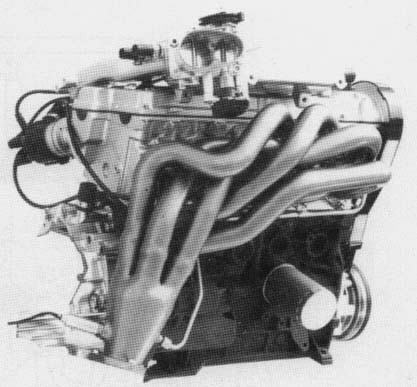 The full-time AWD was a TORSEN system (TORque SENsing), which could split power up to a 78/22 to either the front or back; under normal conditions, the split was 50/50. The rear diff could also be locked via a button that self-disengaged at a set speed, just like in my S4. These cars did understeer (as did most Audis, until recently) since the engine center was forward of the front axle, resulting in a 58/42% front/rear weight distribution. I figured out that my car was a very early build as it did not have any air bags (they were added later in 1990), and did have the gorgeous exhaust header like the one pictured above. All five tubes, which are 800 mm long and 40 mm in diameter, merge into a common flange before connecting to the down pipe. Very quickly, Audi switched to a not nearly as attractive (but presumably much cheaper) header. 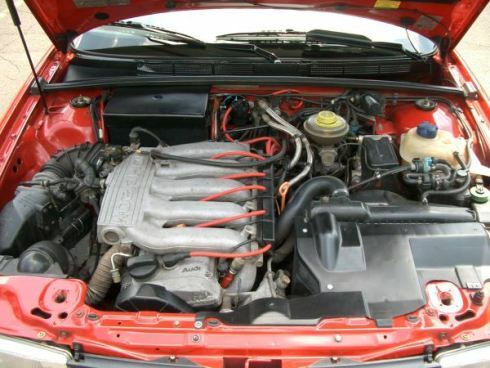 These cars are also popular candidates for engine swaps, which most commonly utilized the Audi “3B” engine and the Audi “AAN” engine from the 1991 Audi 200 Quattro five-speed, and the 1992-1995.5 Audi S4/S6, respectively. Both are turbocharged five-cylinder, 20-valve engines, with the ignition (distributor vs. coil-on-plug) being the main difference. In Europe, this was offered from the factory as the S2. That engine obviously overcomes the stock power-to-weight deficit. Many people retrofit the hood and bumper from the later cabriolet, as it has the updated clamshell design of the post-1992 Euro-market Coupes. You’re probably thinking that this seems more of a Curbside Classic post than a Cars Of A Lifetime post. The truth is that soon after I got it, we found out we were having a baby. I shifted into high gear, gutting and replacing the kitchen and bathroom in our 1920s-era house, finishing a couple of days before Piper was born. After that, there was really no time to pursue the project. I plugged in the battery charger, got it firing and placed an ad asking more money than I had in the car. A few days later, I got a call and a guy my age came over. After I explained the whole story to him, he wanted to drive the car with me along for the ride. We drove it for 24 miles, which just about doubled the miles that I’d driven it since the first time I saw it. All told, from the time I first saw it to the time it disappeared down the street, the odometer showed I’d added just 47 miles over two years. I hope the new owner likes it–I know I smiled every time I went into the garage and saw it. And I still love the shape which, to my eyes, hasn’t grown old at all. Another great piece in your cars of a lifetime Jim! Only 1,730 sold in the U.S.? No wonder I’ve only seen a few – ever! The few of these I’ve actually seen have grabbed by attention though. They’re from Audi’s darkest days in the U.S. That said, it was all basically a media attack on Audi, not any true issues with their cars. I’ve seen more of the similar Cabriolet, which was sold much longer. I think it was clear that I really liked your S4; I like this Coupe quattro just as much (or maybe more!). Audi has always has a certain classy understated look to its cars, but I think the aero-boxier interpretations of the late ’80s-early ’90s are among my favorites. Yours was surprisingly well-equipped. I don’t think Audis have ever really been less luxurious than BMW and M-B, it just took them longer to gain prestige, which is why they have traditionally been priced a bit lower. Anyway I’m rambling now, but I really like this car. Great last picture btw! Full of Curbside Classics: 1st gen Legend, ’80s Camry, Grand Voyager, and Volvo wagon. Audi’s problem traditionally among the performance fans has been their FWD roots. The flipside was the FWD allowed the cars to be lighter weight and have more interior space than the rwd competition The original Quattro started to change Audi’s performance perception but the cars were always a bit noseheavy with relatively uncommunicative steering. Only in recent years has Audi changed the settings for the AWD system to favor the rear, i.e. they started to build in a rearward bias as the default setting. However almost every model is available as a non-quattro version elsewhere in the world, and in those cases they are FWD, not RWD. 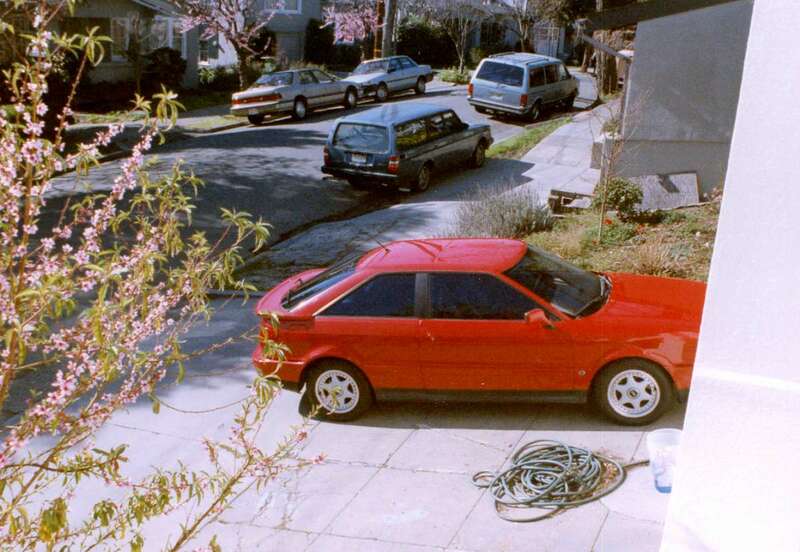 That 240 wagon in the background is a Turbo, it belonged to my neighbor at the time, who had bought it new and still had it when we moved in 2004. He found it to be very reliable. Actually, the latest Audi MLB cars (Q5, A4, Q7) favor the front axle again, for fuel savings. Although also on that platform, I’m guessing the Bentley Bentayga and Porsche Cayenne, as well as the Audi S cars, are tuned for a rear bias. Aside from the unintended acceleration thing, Audi was also suffering somewhat in that era from perceived value issues. 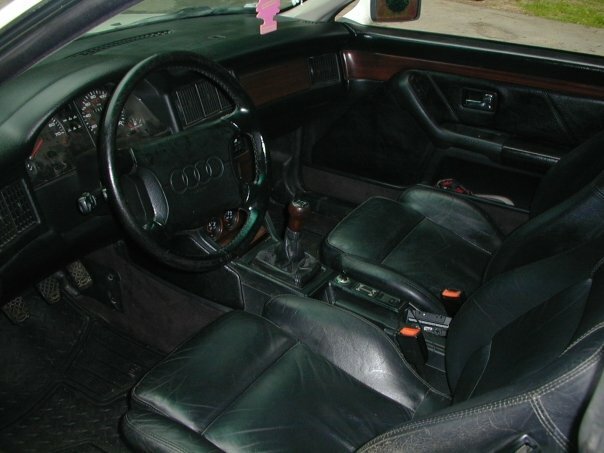 The cheapest U.S. Audi in 1990 was $19,000 and had only 108 hp; an Accord EX, a significantly bigger car, was $2,500 cheaper, had 130 hp, was better equipped, and had an enviable reliability record. (They were also very solid, very well-built cars.) Also, if you wanted an automatic, as a lot of U.S. buyers do, with an Audi you were stuck with a three-speed on everything but the V-8 Quattro. The big selling point Audi had over comparably sized and priced rivals was AWD, but the extra weight exacerbated the power deficit on the cheaper cars and the 164 hp models still had a somewhat peaky five-cylinder engine rather than a smoother six or V-6. In the U.S., you could get bigger, more powerful cars, better-equipped with smoother engines that worked better with automatic for similar or less money, which made most Audis more of a niche item. 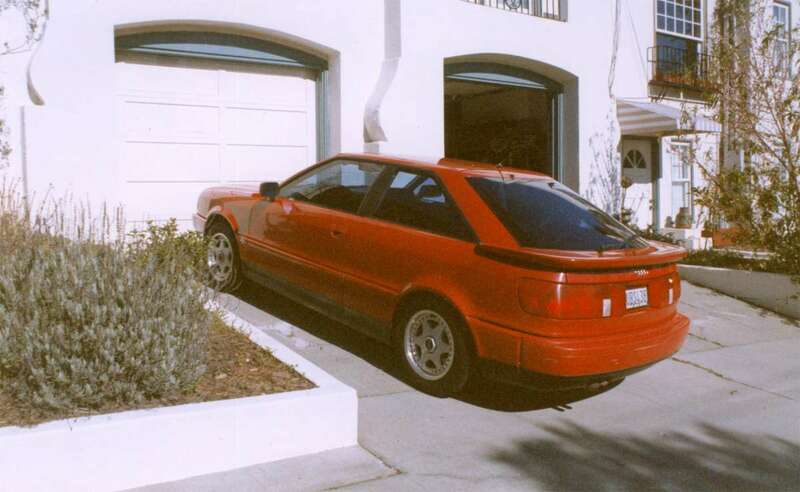 My favorite Audi Coupe in FWD was my ’90 Olds Trofeo FE3… 3800 ftw! Same problem with the Peugeot 405. Good enough car, but priced to compete with Audi and BMW rather than Toyota and Honda. We haven’t been able to buy French cars here since. And back then, Honda was Honda, not the decontented shadow of themselves they later became. They represented way better value than any of the Europeans, really. Forgot to mention the steel sunroofs. What ever happened to those? When I was little, my aunt had one on her ’93 Corolla. I guess people preferred a year-round skylight. Another fan of steel sunroofs here. These seem to have gone extinct. That was one of my favorite features in my 85 GTI. I also liked the fact that it operated with a crank. Another extinct feature. There was a mindset at that time (real or perceived) that a glass-panel sunroof was less safe. Volvo in particular was one of the last to switch over to glass. I do think being glass makes them a bit more pleasant, if just for a bit of extra light. One of the local basketball coaches in my hometown of Bennington, VT has (or had) a 1990 Coupe Quattro that is a dead ringer for your old Coupe. It is Tornado Red with black leather, and has tinted windows all around. His car is also a very early build, and thus has no airbags – it has a build date of 03/89. I know because I tried to buy the car at one point. In the summer of 2003, it started having problems with the head gasket, so he purchased a newer used Audi and parked the Coupe Quattro in his driveway. The Coupe has now been sitting for the last ten years, unmoved and unused. It’s just rotting and gathering dust, which is sad. I’ll tell you one thing – those Coupes make my old Volvo 240s look like Model Ts. Yep, 03/89 is very early, the serial number probably has a bunch of zeros and then 2 or at most 3 digits at the end. I think mine was around number 100 or so but don’t recall for sure. He probably really liked the car and was (is) planning on fixing it one day…life has a habit of getting in the way. It shouldn’t have been any probem selling it in the NorthEast if he had been so inclined. I don’t need to be told it isn’t fair, I already know that. However, every time I see an Audi I think back to the dispatcher I hired in the early eighties. If I wanted the shop to open for business, it seemed I had to go pick her up at least once per week. She drove an Audi but she didn’t own it. It owned her. Can’t seem to get past that. My problem, I know but I have never, ever, been tempted to own one. I totally understand that. Frankly, it is exactly the same as a lot of now middle-aged people experienced with their parents driving domestic and after getting burned several times and switching to a Honda or whatever and having a good experience and never going back, they decided no domestics for them. Finally now you are seeing the next generation starting to embrace the domestic offerings again after everyone raised their game considerably. I’m not saying that the imports are better or worse than anything else out there, just that people will form opinions based on the experiences of others. The shape reminds me of my ’93 Passat with the 5 spd and 6 cyl. Fun car with requisite Teutonic drivability…and no VW gremlins in 5 years of ownership. I know that I am not cut out for Audi ownership, but I can understand a love for these. I had a minor Audi fling (an unrequited one, fortunately) in the 80s, and have always liked the styling of the Audis of this era. I also understand how a guy can have a car he likes but it never leaves the garage. Been there. I don’t remember where you are located exactly, but I think a lot of it depends on the support level that exists locally. On both coasts and around Chicago for example there is lots of knowledge about these cars if you look for it, especially with the internet today. On the other had, a good friend had an Audi in Indiana and it was not a great experience, in large part to the local knowledge base not really existing. 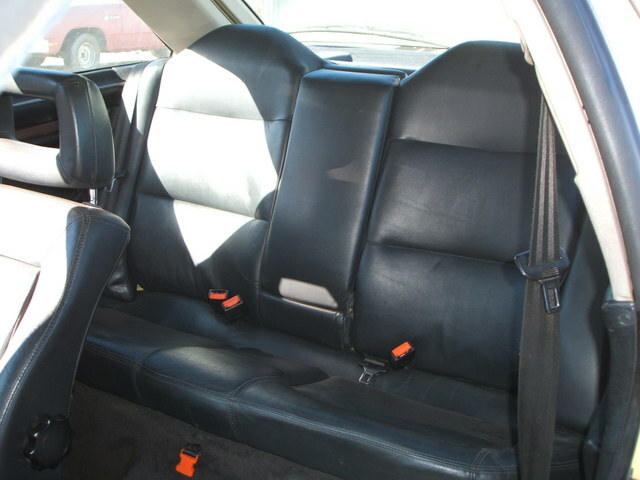 Thus every repair was a bit frustrating and more expensive that it really needed to be. It’s probably somewhat similar to having a Honda or Buick in Europe. Any corner gas station out in the sticks there can fix a VW Golf, Peugeot 307, or Audi 100, but a Honda or Buick is foreign and a bit exotic (to some extent). I do like Audis, and my aunt Lori has a bright red 2004 A4 3.0L with over 100K on it. Even now, it drives nice and tight. They bought it new; it replaced a manual-trans ’97 A4. Before that, they had an ’88 4000 quattro. 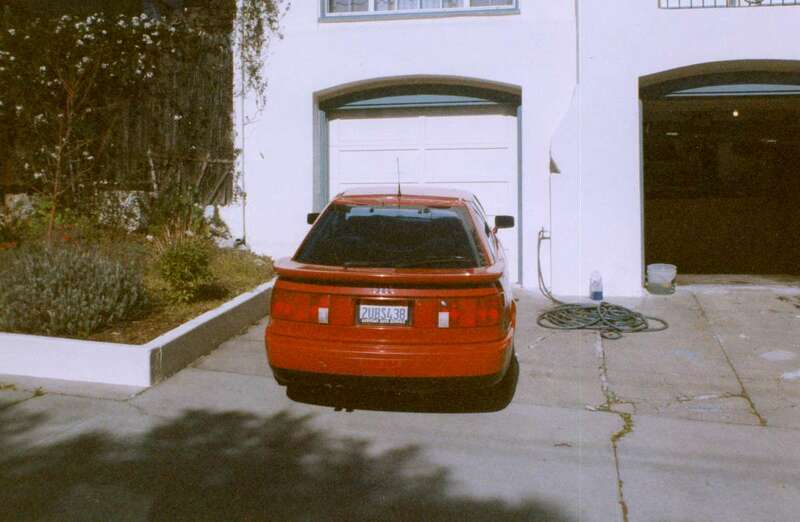 Also, Dad had a 2001 TT quattro as a company car in 2001-04, and it was a great car. He only got rid of it to purchase a midnight blue ’01 Carrera, which he still owns today. Nice car, and nice article! 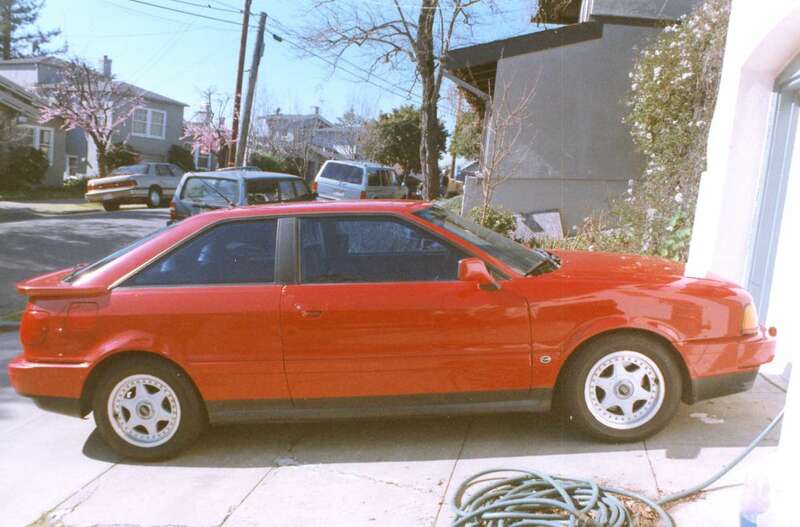 Much like one of the comments above, I had a friend who had a Coupe Quattro that was visually identical to your car, though I think his was a ’91. For the eight months or so that he owned it, I was quite jealous–great looks, comfortable interior, very nice grip with the AWD. Unfortunately it was hit in the rear at a stoplight, and while the damage looked relatively minor (bumper knocked off, wrinkled rear fenders, busted tails) it was written off. I tried to convince him to buy it back and fix it on the cheap, but no dice. Its replacement was a SAAB 9-5, which proved insufficiently sporty after the Audi, and he then upgraded to an E39 540i-6. *That* was actually an upgrade, though he certainly paid for it! I’m one of those that has loved Audis since I was young, but have never had the pleasure (or pain) of ownership myself. I did manage to convince my parents to buy a used ’86 5000S in 1994…not the best decision. Electrical problems from day one. I wasn’t paying though, so I loved driving it…when it wasn’t in the shop… And yet I may own another someday. Weak spot for the styling of the C3 100. Nice car and a great deal for 2k, even with the body damage. Probably spent more time with this COAL writing it’s story then was spent behind the wheel in motion! Having a TDi wagon with 200.000 miles on the clock, I really love the coupe, one of my favorite designs ever… Would you like to have another one, Jim?